It only takes a little effort to make an occasion special. It’s the small touches that turn a normal dinner into a memorable meal. Decorating your dining room table is quick way to transform a room and welcome guests. With the right colors and accents, you can make a regular weeknight dinner feel like a special occasion. Just with a cloth napkin, a table feels formal, ready for a big holiday meal with family or romantic evening with your spouse. 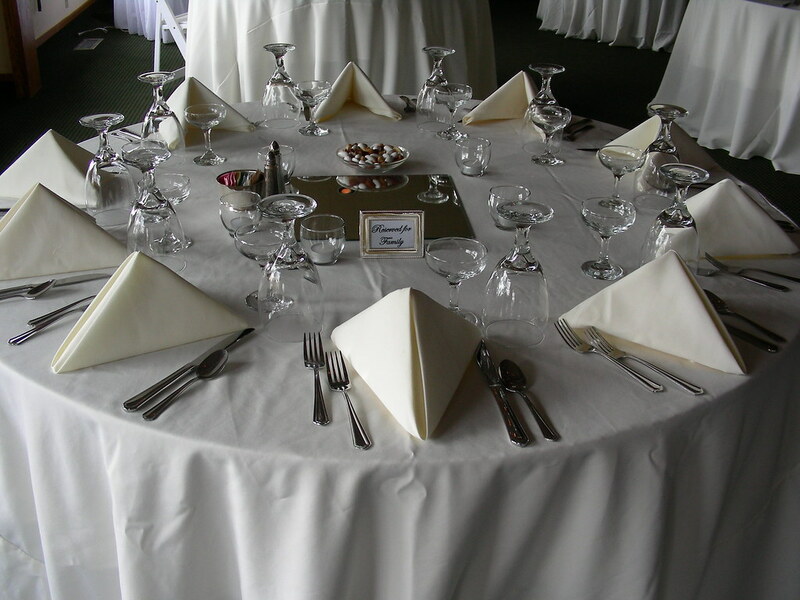 It’s easy to add a special touch to your table with placemats and napkins. 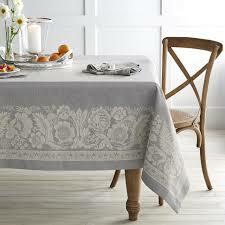 The first step to decorating your dining room is selecting a tablecloth. Try picking a color or pattern you feel appropriate and layering with coordinating pieces. It’s with the seemingly small accents, like placemats and napkins, where you can get really creative and make the perfect setting for your meal. Theses pieces come in colors and patterns to complement any personal style. Our Plum Flora collection is beautifully accented with taupe, green and a touch of mauve. It’s an elegant pattern to match with sage curtains or walls. The rich jungle blooms make soft, but rich design. We like accentuating this collection with sage Aged Wooden Tray as a table centerpiece, simply place a few candles or tea lights in the tray to generate instant ambiance. We love the elegant pattern of the Mandarin Lapis’ Asian-influenced floral design. The classic crisp white and royal blue color combination is timeless. It’s perfect for a sun-dappled morning brunch or a romantic Italian dinner for two. The Mandarin Lapis Placemat is also reversible, revealing a medallion pattern on one side and a floral on the other. For extra dimension, try layering the placemat with the Essentials Placemat in Lapis or Neutral. There are many stylish coordinates in this collection to embellish your dining room table, like the striking medallion napkin ring. Or maybe our Palazzo collection is more your style. This collection features a neutral palette and a Jacobean floral design that’s both soothing and warm. The Palazzo placemat is reversible, with plenty of opportunities for variation and layering. One side features the primary floral pattern in colors of soft cream, charcoal grey, gold, taupe and beige. The reverse side displays a simple leaf and vine design in a tonal palette of soft cream and beige. Consider pairing the placemat with the reversible Palazzo Table Runner, coordinating cloth napkins and leaf vine napkin ring. You can add some juxtaposition against the floral design of the Palazzo pieces with the geometric Chevron Hurricane candle holders to add interest. We like layering the patterned and solid fabrics for updated tabletop style. The decorating opportunities are endless. Creating a lively, personalized dining room table is simple with so many coordinates to choose from. Sometimes you just want something simple and classic. Clean, sharp colors can make a very modern table. Maybe you’re planning a big holiday meal, or need accents that mix and match easily. Our Essentials collection of napkins and placemats are solid color pieces perfect for such occasions. They come in a variety of bright and muted shades like Pistachio, Stone, Teal, Spa Blue, Brown and more. They coordinate with patterned tablecloths and other decorative pieces on our site. But the most important part of decorating your table isn’t color or matching—it’s about creating an inviting atmosphere to welcome your guests. Rugs are a wonderful for decorating—they’re both functional and beautiful. They serve a number of purposes. With a stylish rug, it’s easy to transform bare floors. Larger area rugs are a great mechanism to tie together a room’s décor. When you have a big room, rugs can help define sections into separate spaces. For example, putting a rug underneath a table can help divvy the eating area from your kitchen or living room. Some like to add a rug as a finishing touch to a space, bringing harmony to existing elements. Others use rugs to inspire a room’s color palette by making it a main focal point, as they can create a big impact. Regardless of how choose to decorate with your rug, picking the right style and design will add excitement to any space. An easy way to create dimension and vibrancy is to decorate with color. Bright rugs develop energy and help you determine what colors to utilize in your décor. The Green Geo Chindi Throw Rug is a soft, spring green that blends nicely with many colors and patterns. Try pairing it with tan or beige furniture for an earthy, cozy feeling. Looking for a punchier color? It’s always a fiesta with the Orange Geo Chindi Throw Rug. It bursts with sunshine, really highlighting the white geometric pattern. Many are nervous to decorate with this bold shade, but this tone works beautifully with navy, light green, turquoise and brown. It’s truly versatile! Start your morning off right with the clementine hue in your kitchen or foyer. Brighter rugs work well with spaces that don’t have much visual competition. Ready for your décor to roar? 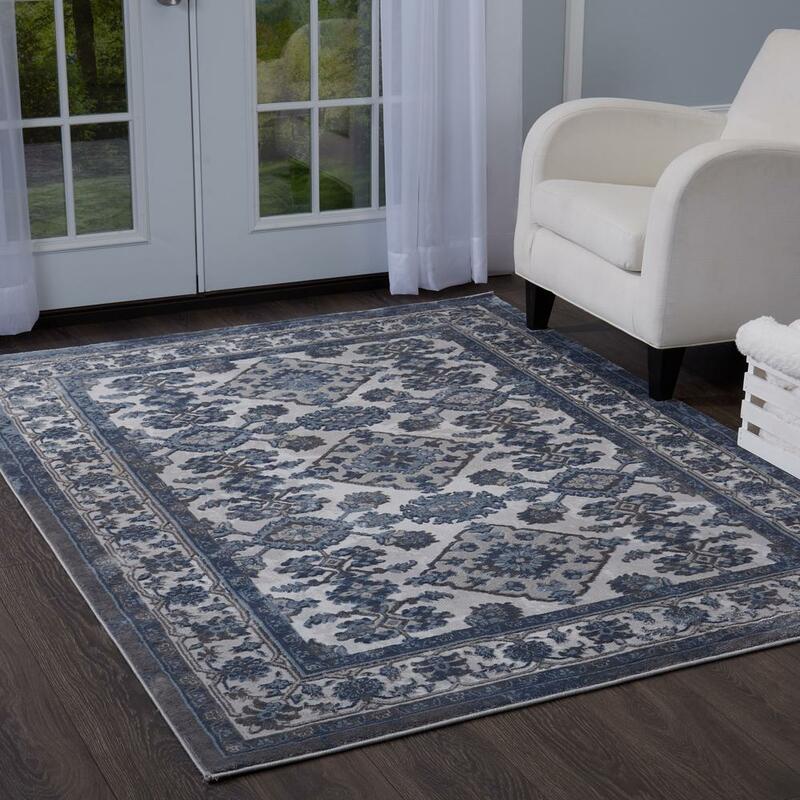 Our Casablanca Jute Area Rug features a soft, muted animal print that’s the ideal accent for any room featuring other pieces from the Casablanca collection. This strong, durable rug is made of high-quality, environment-friendly, 100% natural jute fibers. Which means they’re strong, durable and easy to maintain. We recommend using a non-skid rug pad underneath to keep it in place. The Nadu Jute rug is made of the same materials but is accented by a lovely black and beige paisley pattern. It’s the perfect size to place beside your bed, under a coffee table or in your foyer. Jute fibers create a warm, organic look that complements a table of plants, wooden accents and sheer curtains. If you’re looking to decorate a busier room that features many bold patterns in the curtains or upholstery, you make consider a softer rug to quiet the space. The Granite Chindi Throw Rug is very subtle, laid-back and calming, with a simple chindi stripes in natural shades of beige, grey and cream. Consider placing this rug in a room that’s painted a vibrant color or in need of relaxing shades to balance the space. In big spaces, get creative and consider using two smaller rugs instead of one larger area rug. Just be sure they rugs are of a similar style so they don’t clash or “war”. Don’t limit them just to inside the house! Our Ikat doormat will greet your guests with style. The black and beige ikat design is modern and fresh. It matches perfectly with other pieces from our Bella Ikat collection, but also easily mixes with other designs. It’s the perfect first impression. Or maybe the Welcome Aboard doormat is more suited to you tastes. This natural-jute fiber doormat boldly features a red and beige rope design that welcomes guests to your home or boat. It’s a fun accent that coordinates with other items from our Marina collection. Decorating with rugs is simple and fun. Big swatches of color and pattern can create excitement and drama or soften a boldly decorated room. With this one element you can stylishly tie together your furniture or get inspired for a new space. Playing with fabrics and textures can help furnish a space to your tastes. Start browsing to see what may fit for your next decorating project. What rugs inspire you? There are endless ways to style your home. But often, windows are neglected. Even a well-decorated space can feel naked without the right curtains. One element that universally flatters any decor is natural sunlight. Have you given thought to your windows? They are a natural focal point to any room, creating dimension and space. Using curtains or valances accentuates natural light and provides your windows with the decorating attention they deserve. Luckily, there are many decorative curtain and valance options for your windows that can complement your personal style. With the right fabric, color, and pattern you can use curtains or valances to create everything from cozy privacy to welcoming energy. The large fabric swatches are great place to inspire a color palate or finesse a decorated space—the possibilities are limitless. Curtain valances are a stunning and simple way to add a splash of color to any space. It’s easy to refresh your décor with the Mandarin Lapis Medallion Valance curtain. The sophisticated blue and white medallion pattern was inspired by the designer’s own chinoiserie ginger jars. The Asian-influenced floral is a chic palette inspiration for a sunny kitchen nook or dining room. Valances allow for maximum sunlight. This valance also coordinates perfectly with the other pieces in our Mandarin Lapis collection, including placemats, runners and pillows. Try highlighting the pattern even more with a blue or white vase in your windowsill. This classic color combination is timeless and functions well with many décor styles. Looking for a valance with more warmth? Perhaps our Palazzo Lined Wave Valance curtain is more suited to your taste. It features a Jacobean floral print in sunny gold tones. It’s a neutral that mixes well with other warm colors to create a welcoming addition to your foyer or living room. Try matching it with soft cream, charcoal black, gold, taupe or beige accents to bring out a fuller palette. Valances work well for areas that require little coverage from the sunlight. The wavy shape is bright detail that does not go unnoticed. 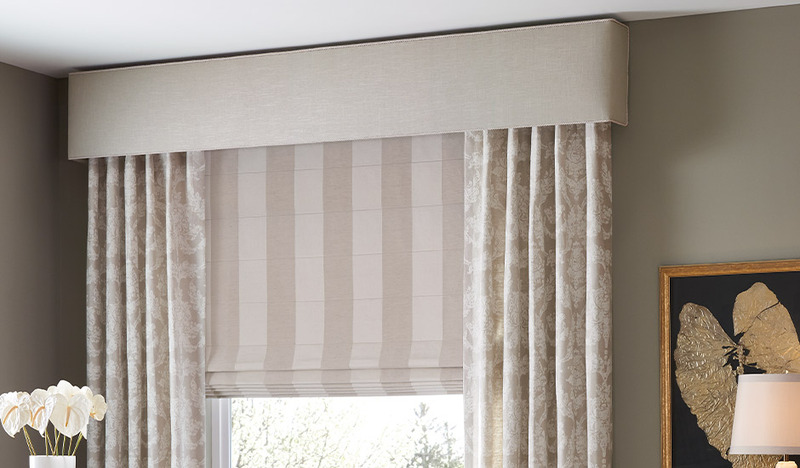 This valance gives any space a bright and airy feel, reminiscent of a sunny, spring day. Take your dining room to the next level by harmonizing the Palazzo valance with collection coordinates like our reversible placements or table runners. We love pairing the Palazzo collection with bright yellow flowers to make your home feel like spring year round. But perhaps you are decorating a room that needs more sunlight coverage. To maintain privacy while maximizing light, curtains are the answer. Drapery panels create a big impact to any room. The Malachite Garden Grommet Drapery Panel brightens any space with lush, botanical leaves in shades of green and turquoise. The cream backdrop blends beautifully with other neutrals. Try them open to capture light, or close them for privacy in any bedroom. Looking for a statement piece? Using large swatches of color can transform a room and even become the inspiration for your décor. Our Moroccan Paisley Grommet Drapery Panel is a deep chocolate brown that makes a bold impression. This lovely paisley pattern was inspired by the color of spices, blending emerald green and dijon yellow. The bright chevron and zigzag accents create a unique fabric perfect for a cozy living room. It’s easy to create a custom look with any of our Moroccan Ikat coordinates. Curtains and drapes are the perfect finishing touch to any room in your home. They’re often the last element added to a space, but their effect can be dazzling. Whether you’re using curtains to maximize sunlight or create privacy, window treatments are a simple and essential part of decorating to make your house a home.